Now here's the truth. I feel for every woman in this courtroom, for the unrealistic expectations that society puts on you. But here's the thing. That does not allow you to kill without consequence. Anna: Isn't it obvious? Without me. Stone: I have news for you. You're not so special. Permalink: I have news for you. You're not so special. I've been a cop for 20 years and never in my career have I seen anything like this. She convinced herself that murdering her children and murdering her husband was the only choice. What kind of legal system do we have if a woman like Anna Mills can kill her children and get away with it? Delores: Every night, Mrs. Anna says buenos noches. Good night. But that night, she said adios. Goodbye. And she kissed me. She never kissed me. Are you buying any of this? Cause it sounds to me like a made-up syndrome cooked up by a defense attorney. Your Honor, my client needs so much medication to get out of bed in the morning, she's not gonna run. 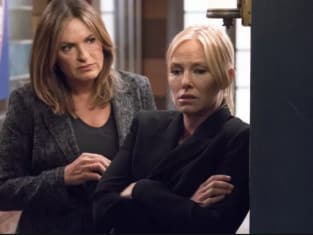 Benson: You killed them, didn't you, Anna? You did this. Anna: Of course I did! I had to! Permalink: Of course I did! I had to! Oh my God. I can't believe this. Mothers don't kill their babies. Permalink: Oh my God. I can't believe this. Mothers don't kill their babies. Carisi: It was his [Julian's] law firm, but I don't think he was in on this. Benson: Why? Because you don't like poets? Permalink: Why? Because you don't like poets? Tom: Someone killed them over money? Fin: One of the top two reasons people get dead. Permalink: One of the top two reasons people get dead.